William Tell is an excellent example of a non-historical personage who debubnks the Jesus-myth. What do we make of lists of historians who did not mention Jesus? 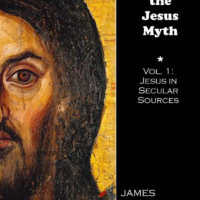 Pliny and Lucian provide minor but useful references to the historical Jesus. A series on the authenticity of Josephus' reference to Jesus. View supplementary videos on Tacitus as a secular reference.